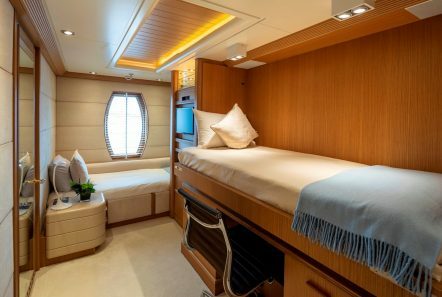 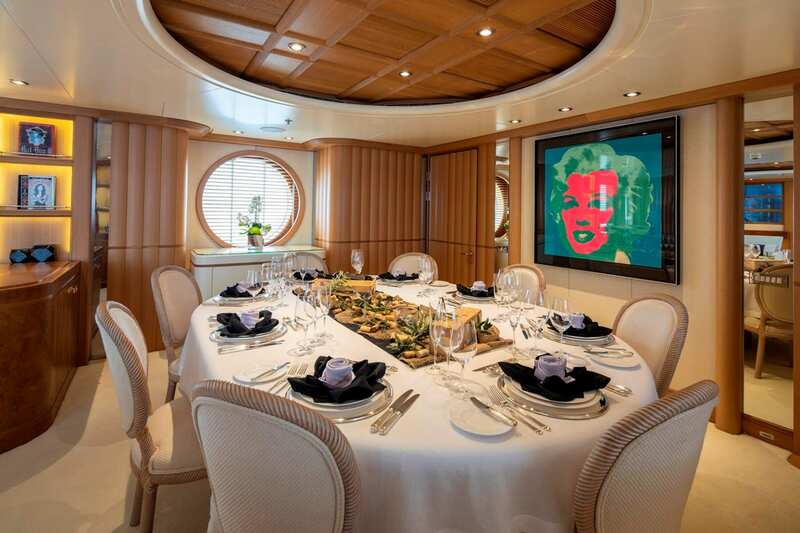 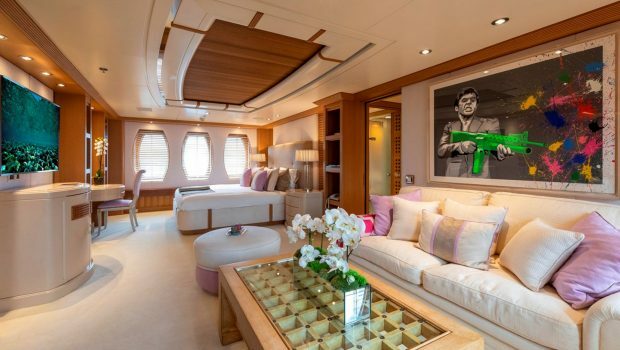 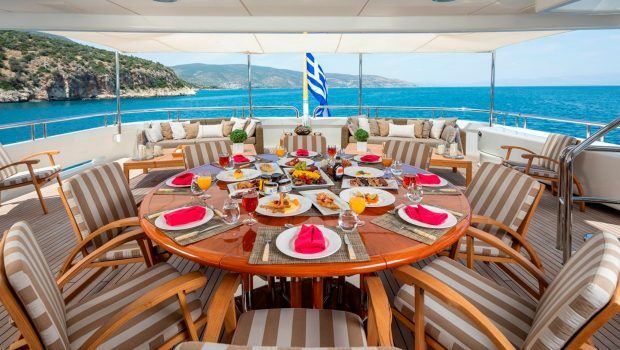 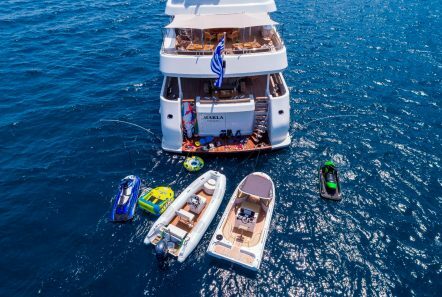 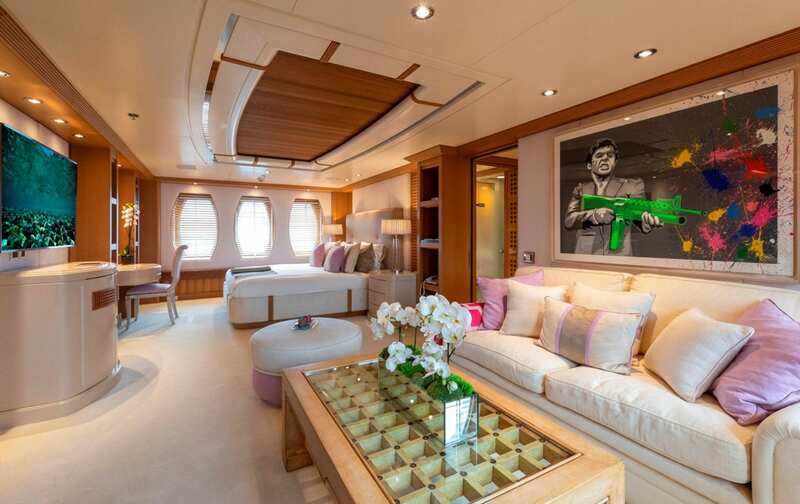 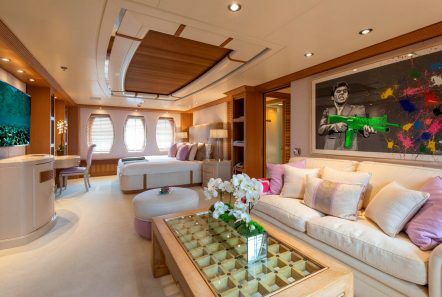 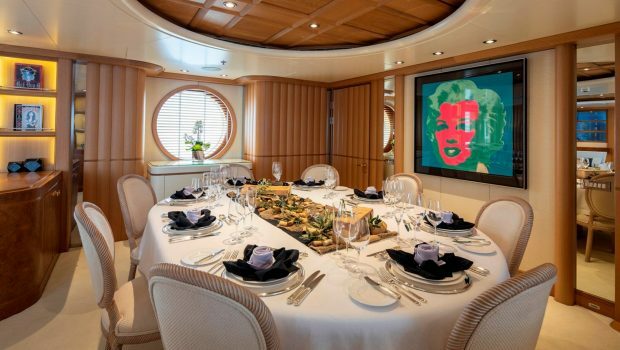 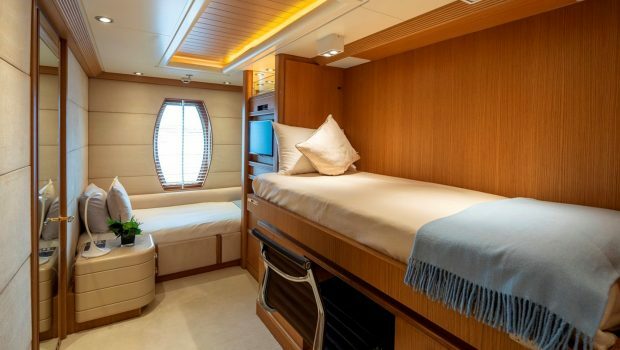 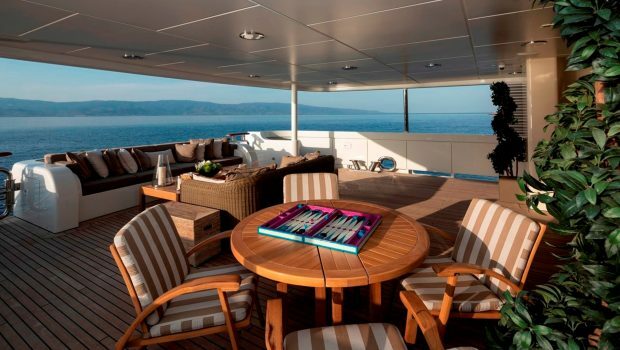 MARLA, a 164 foot custom Amels luxury motor yacht with Terence Disdale interior design, accommodates twelve guests in six lovely staterooms. 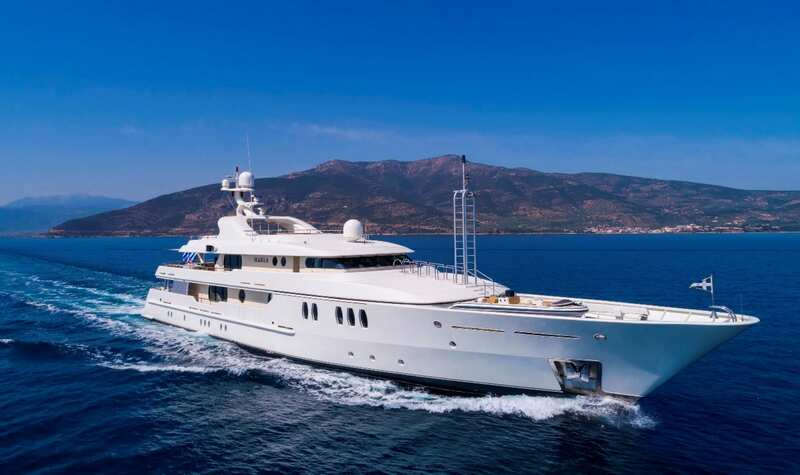 Marla, previously named T.J. Esperanza, was built by leading Dutch shipyard Amels and last refitted in 2015/2016. 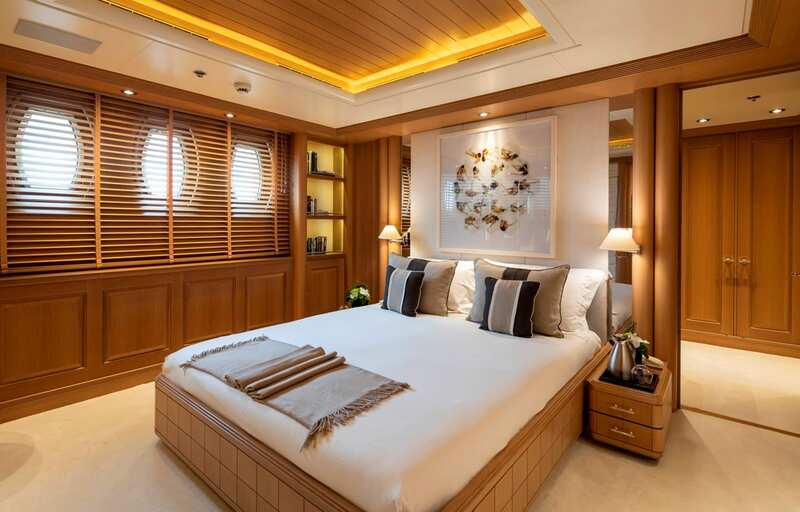 She is comprised of a Master Suite, two Double staterooms, two Twin staterooms and one Single stateroom with a Pullman berth. 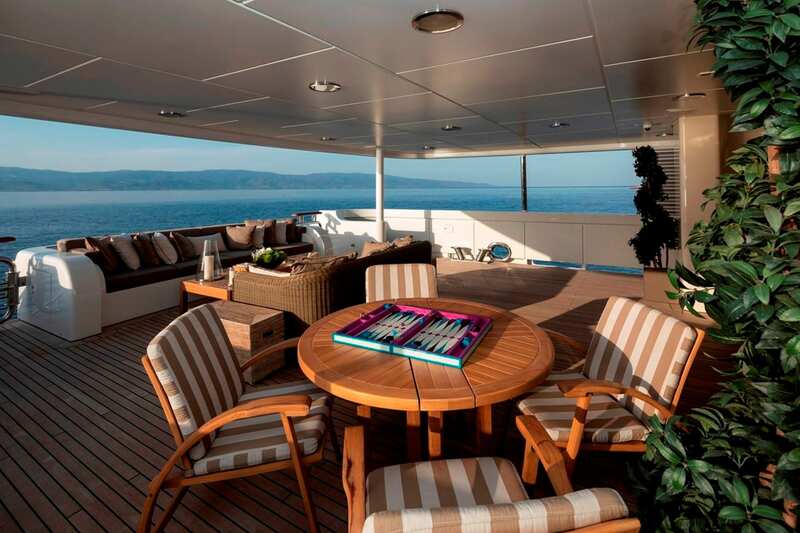 Made of steel and aluminum, she can achieve a top speed of 15.4 knots and a cruising speed of 13 knots. 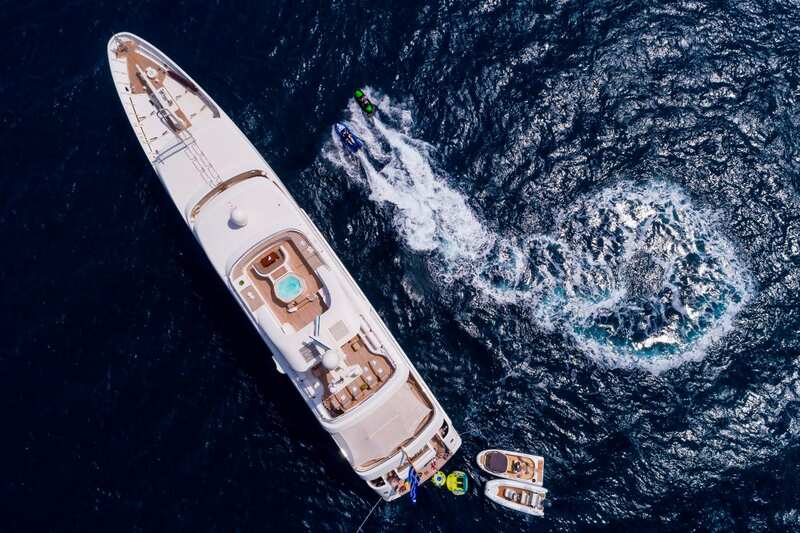 Please note that she has zero speed stabilizers. 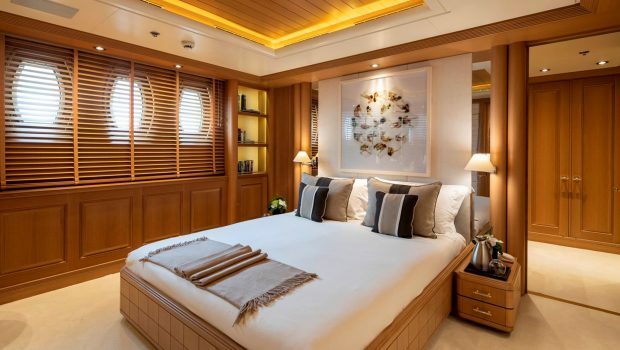 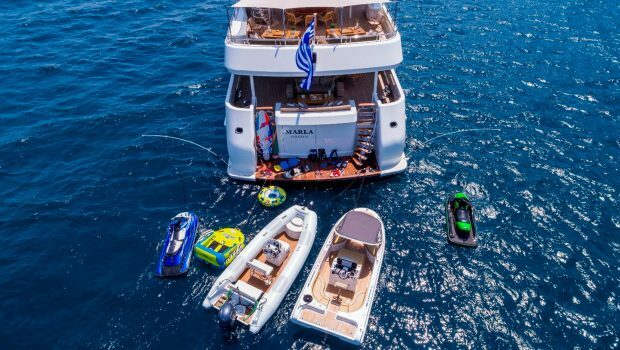 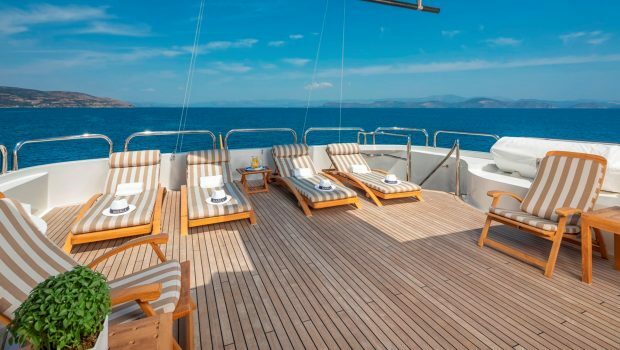 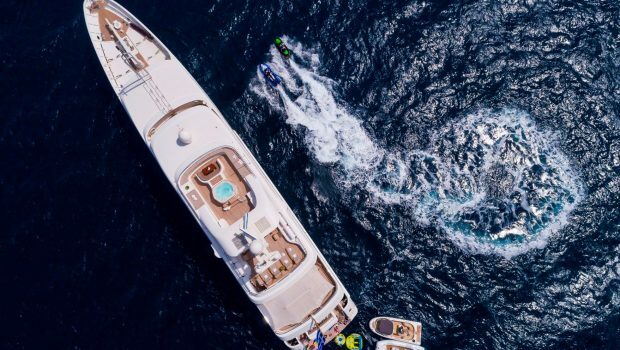 Her sleek and beautiful lines, gorgeous furnishings as well as her impressive leisure and entertainment facilities, make her the ideal charter yacht. 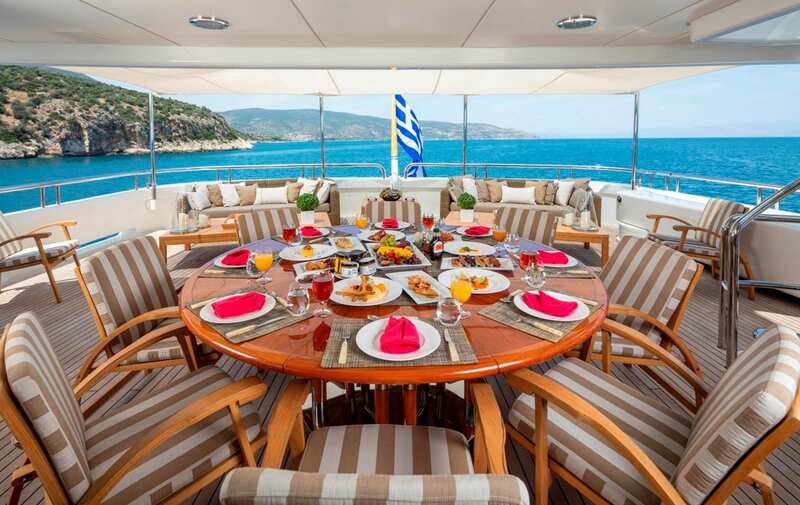 Her exceptional Captain Manolis, leads the highly experienced and professional crew of 12. 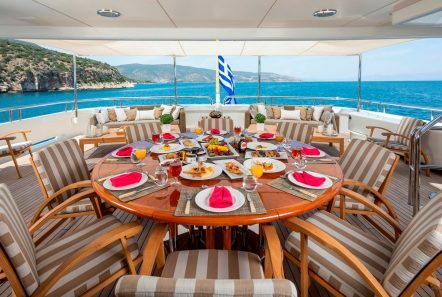 MARLA, a 164 foot custom Amels luxury motor yacht with Terence Disdale interior design, accommodates twelve guests in six lovely staterooms. 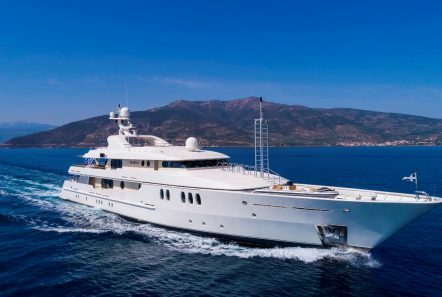 Marla, previously named T.J. Esperanza, was built by leading Dutch shipyard Amels and last refitted in 2015/2016. 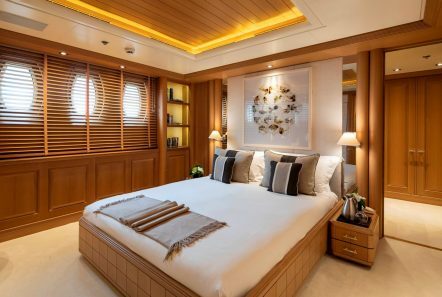 She is comprised of a Master Suite, two Double staterooms, two Twin staterooms and one Single stateroom with a Pullman berth. Made of steel and aluminum, she can achieve a top speed of 15.4 knots and a cruising speed of 13 knots. Please note that she has zero speed stabilizers. 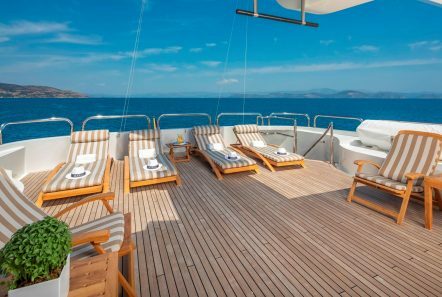 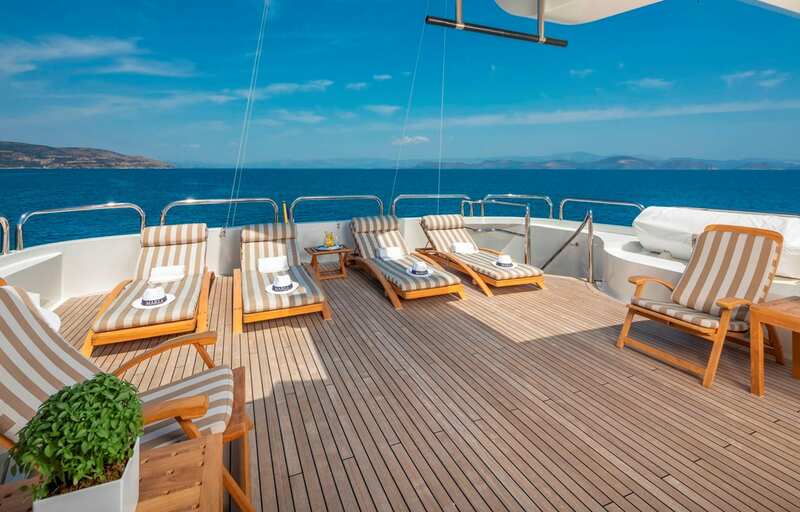 Her sleek and beautiful lines, gorgeous furnishings as well as her impressive leisure and entertainment facilities, make her the ideal charter yacht. Her exceptional Captain Manolis, leads the highly experienced and professional crew of 12.